Who can Ride in the Annual Re-Ride? To ride in the annual Re-Ride, you must be a member of a state division, sign the liability waiver, be in ride uniform and provide your own mount for the re-ride. Official riders must be 14 years (under 18 requires parental/guardian permission) or older. Younger riders may shadow/buddy ride to participate in the annual Re-Ride. Check here for official Rider Requirements. I am not yet 14 years old can I ride? Yes, you can ride as a shadow/buddy rider with an adult, this can be a parent or another rider. Contact the state president for more information. Each state has different membership forms. In The States section of our website, choose the state you are interested in, go to the forms section of the state and the relevant forms are available there. Please ensure you coordinate with the State President about riding in the state before sending in the forms. You will need to complete the membership form and insurance waiver. When is the annual Re-Ride? The Re-Ride takes place every June. In even years, we ride from Sacramento, CA to St. Joseph, MO, in odd years, from St. Joseph, MO to Sacramento, CA. The overall Re-Ride Schedule is available here. Note that each state provides schedules at the beginning of the Re-Ride year. How fast do I have to go? We average what the original riders did (10 mph). Terrain and conditions may have riders go faster or slower. Just like in the 1860’s we ride 24×7. How far is each leg? The leg’s vary by terrain and state, avg is about 3-5 miles, but can be shorter or longer. How do I prepare for the Re-Ride? There are several things to keep in mind while preparing for the event. Condition of your horse, what section/leg you are going to ride, shoeing requirements for your section/leg. Keep your mount conditioned and know your section. Some sections require water crossing, traffic, etc. ensure you and your mount are comfortable with your terrain. Work with your Ride Captain/Lieutenant to ensure you know your route and pre-ride the section. In some states, mountain areas may require winter deadfall and branch trimming. How many riders does it take to complete the trail? 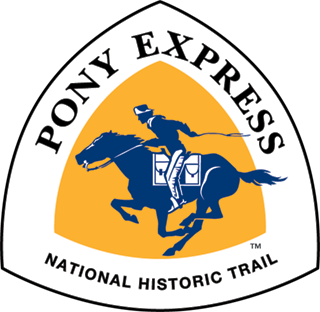 Each year it takes about 650 riders to complete the 1966 mile Pony Express trail for the re-ride. Each rider will ride a leg and hand off the mochila at preassigned locations. Ride Captains/Lieutenants will assign sections/legs to each riders before the re-ride. 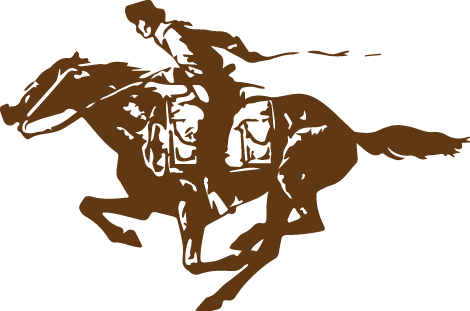 Some riders will ride more than one leg. The Mochila is a removable lightweight leather cover put over a saddle. There are 4 cantinas (pouches), one on each corner. It gets placed over the saddle and carries the mail. What is in the Mochila? The mochila carries actual mail – usually about 1000-1200 pieces of mail. The mail travels the entire route and at the end point is transferred to USPS to deliver mail worldwide. You can send a letter. In addition to the mail, there is a tracking device carried in the mochila. The tracking information can be found at here. I don’t ride, how can I participate? You can help with trail preservation. During the re-ride you can help with supporting the riders and their mounts. Taking photos of the riders. The organization is also active throughout the year with different outreach events at local schools and other venues. Check with the state president for further information. Several states also have HAM radio operators that follow the mail and communicate along the way. How does my rig get moved while I am riding? If you do not a support driver that can move your rig, there are many ways this is done. You work with your ride captain to identify someone who might be able to move your rig to the next section, sometimes this is the inbound/outbound rider. I live in a state that is not along the trail, can I still participate? What is it like to participate in the annual Re-Ride? Many riders have shared their tales and photos from past Re-Rides – check out their stories.